It has been said that the town of Highlands was founded by two developers from Kansas in 1875 who, according to the legend, took a map and drew a line from New York to New Orleans. Then they drew another line from Chicago to Savannah. They believed that these routes would become major trade routes for the future and where they crossed would be a large population area. In the 1920’s the Cullasaja River was dammed, forming Lake Sequoyah and providing hydroelectric power. A beautifully scenic road was carved into the rock walls of the Cullasaja Gorge to Franklin and the muddy roads in and out of the town of Highlands were reinforced with crushed stone. Highlands is the highest incorporated town this side of the Rockies and is situated at over 4000 feet above sea level. By 1931 the town of Highlands had roughly 500 full-time residents and 3000 summertime guests, as well as about 25 businesses. Very little changed in Highlands until the 1970s with the influx of shopping centers and multi-family homes. Now there are over 270 businesses including tasty bistros, unique stores, charming old inns, and multiple country clubs and golf courses. Since its creation in 1875, the demographic mixture of Highlands has been remarkably unique. Founded by pioneers from all over the nation, tradesmen from the north, Scotch-Irish laborers and craftsmen from the surrounding mountains and valleys, and wealthy aristocratic planters and professionals from the south, the town has served as a cultural center for well-known artists, musicians, actors, authors, photographers, scholars, and scientists who have thrived in its natural setting. 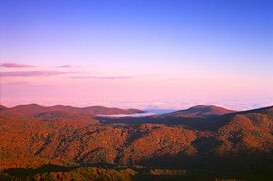 When it comes to outdoor activities, there is plenty to do in this beautiful town of Highlands, North Carolina. There are multiple hiking trails that are accessible from the downtown business districts as well as beautiful camping areas. The area waterfalls are abundant and easy to find as well as numerous opportunities for outdoor enthusiasts of all abilities. Highlands real estate offers something for everyone, from high-end country club and golf properties to unique mountain cottages. Come visit us and see for yourself why so many people choose this charming mountain town as home, either year-round or as a summer haven.